For years ride-hailing services like Uber and Lyft have changed how many people get around Chicago. But, unfortunately, we still lack the data to truly understand the impact from these services. Unlike in other major cities, Uber and Lyft are not required to make their Chicago trip data publicly available. Access to anonymized trip data is critical to understanding how rideshare vehicles are changing our streets. It also allows cities and researchers to analyze the impact the services are having on public transit, especially bus ridership, which has seen sharp declines in recent years. Some recent national studies indicate that ride hailing may be increasing congestion and leading to more driving. A recent UC Davis study surveyed transportation users in seven major cities, including Chicago, and found that ride hailing may be attracting riders away from public transit, buses in particular, and leading to more vehicles miles traveled (VMT) because of people making more trips using less efficient modes of travel. More driving and fewer people riding public transit is not a good recipe for Chicago’s future. Getting people back on the bus with strategic investments in service improvements could help counter the boom of these less efficient modes. We know that ride-hailing will never be able to fully replace transit, but it could drain needed resources from it in the short and long term. There’s more local evidence many Chicagoans are already choosing Uber and Lyft over the bus. In a 2016 CTA survey, 29 percent of CTA rail customers and 31 percent of CTA bus customers who had reduced their CTA ridership indicated they were using app-based ride-hailing services instead. The ride-hailing fee that was passed by Chicago City Council last month is a step in the right direction, but Chicago should go further. 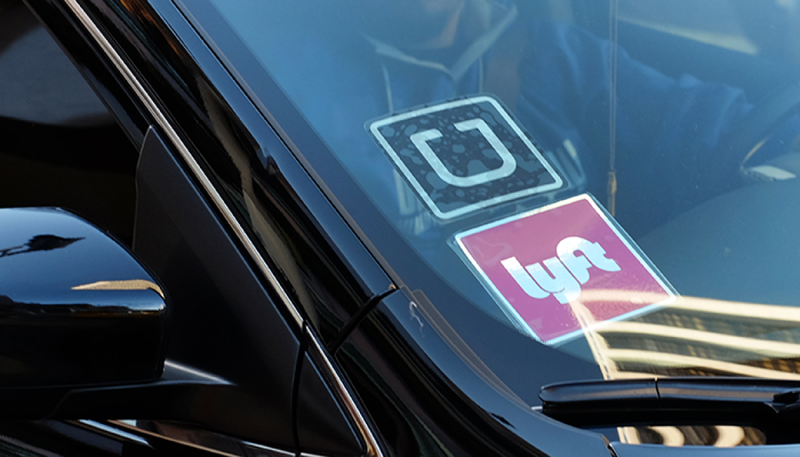 Currently, ride-hailing companies are required to submit trip data, including start and end time with origin and destination of any trips that begin or end within the City of Chicago, to the city’s Department of Business Affairs and Consumer Protection (BACP). However, it is not clear what the city does with this data and it is not publicly available. Chicago City Council should pass an ordinance mandating that ride-hailing companies make anonymized trip data publicly available. Peer cities have different regulations that require more transparency. In New York, taxicabs and ride hailing companies are required to share electronic trip logs, including date, time and origin of each trip. This anonymized data has paved the way for more robust research and analysis of the impact of ride hailing in New York City than any other American city. The negative impacts of ride hailing, unfortunately, don’t stop at increasing congestion and decreasing bus ridership. Ride-hailing drivers often create unsafe conditions by frequently blocking bike and bus lanes when illegally loading and unloading passengers. A simple solution is being piloted in San Francisco: creating designated passenger pick-up zones for ride hailing, otherwise referred to as geo-fencing. While Chicago only has four miles of dedicated bus lanes currently, we’ve heard from many of our members and supporters about their experiences of ride-hailing vehicles blocking the bike lanes around Chicago. As we push to increase the number of miles of bus lanes to speed up bus service, we will also be advocating for adequate and equitable enforcement of the dedicated lanes. Creating a policy around passenger pick up zones for ride hailing would be a good way to preemptively combat the issue of illegal loading and unloading. Moving forward, Active Trans will work with its coalition partners to fight for increased transparency and data sharing from ride hailing companies. Join our advocacy supporter list to stay up to date on this campaign and all our advocacy work. This policy recommendation is endorsed by a coalition of community-based organizations and non-profit experts. See all 10 members of the Back on the Bus Coalition and let us know if your organization is interested in joining. Pushing for more data sharing and analysis of ride-hailing trips is one of five policy recommendations in our recently released Back on the Bus report (read the executive summary and full report). Share the report on social media with #backonthebus. Stay tuned as highlight a different policy recommendation from the report on the blog each week through the end of the year.